November 8, 7 PM: Watch the Horgan vs Wilkinson debate and help us on social media! 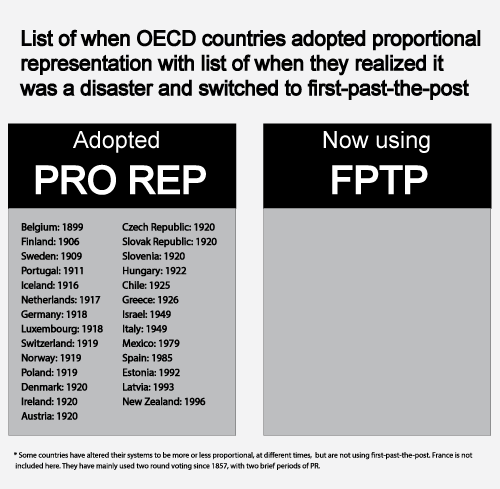 On Thursday November 8 at 7 PM John Horgan will debate Andrew Wilkinson on proportional representation on CBC and Global TV. Can you tune in to the debate and help us on Twitter or Facebook? Where to watch: The debate will be broadcast on CBC Television and streamed live on CBC British Columbia's website, CBC Vancouver's Facebook page, and @CBCNewsBC Periscope. 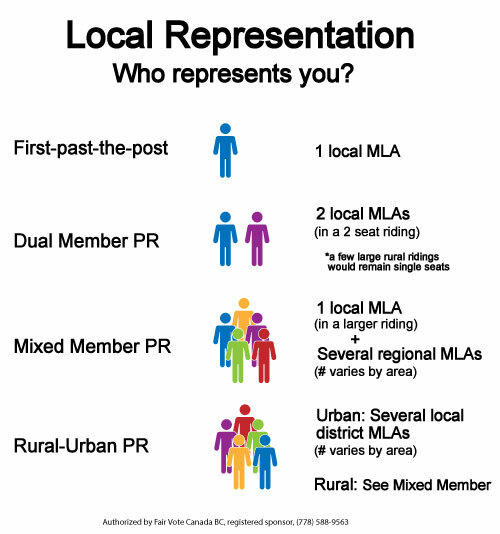 We need a large show of support for proportional representation! Twitter: If you have a twitter account, please follow @FairVoteCanada and @FairVoteBC. 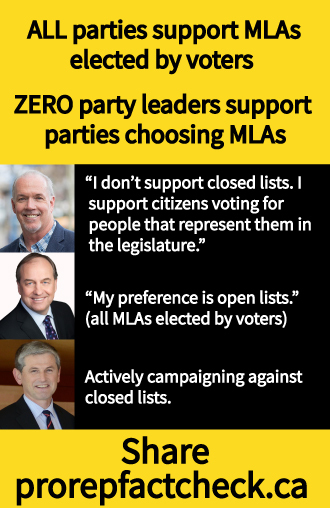 We don't know yet if there will be a specific hashtag used for the debate, but #bcpoli is always a good bet - follow our Twitter accounts on Thursday to see if there are others! We will be cheering on proportional representation and fact checking the claims by opponents as we hear them, using graphics such as the ones below this email and the expert-backed Fact Checker website. Please tune in on Thursday, and most importantly, be sure to tell your friends and neighbours now why you support proportional representation!